Photography is a print-making entity and every single print is a signature version. The digital printmaking has indeed increased the possibility of replicating with precision – this probably removes some of its qualities such as “single master piece”, “exclusive” etc. Even then, a photograph reproduced in different media, conveys different meaning and importance, and it is because of this that exhibitions continue to be an effective and interesting way of presenting photographs to a larger audience, even in a highly digitalized world where the transfer of images happens on a massive scale. EtP believes that the format of the exhibition is integral to bringing art to a community, while digital platforms have their own advantages as well. 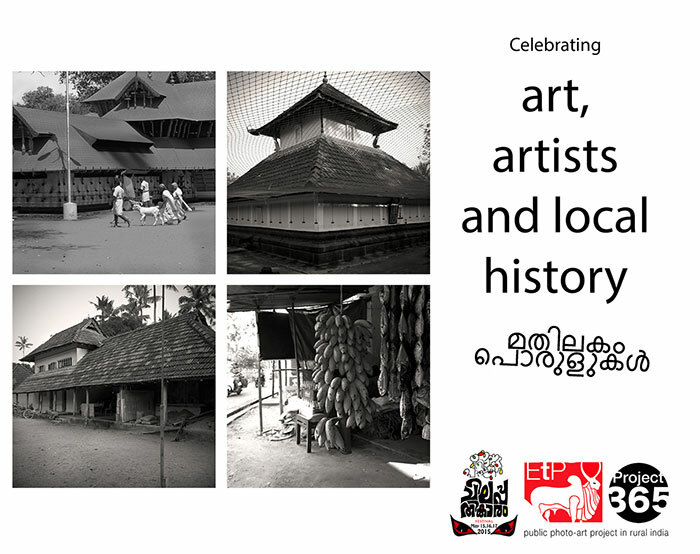 EtP is committed to showcasing the works in our collection in front of the larger public. In this, we are specifically inclined to reach out to a rural audience. Our practice of showcasing the works in the same place from where they have been taken is an attempt to encourage and involve the subjects as participants in contemporary art initiatives. Usually, photographs are taken at one place and showcased elsewhere, with the one who was photographed ending up having no knowledge whatsoever of what was taken. EtP, however, would like to place the photographed people as the primary viewers. 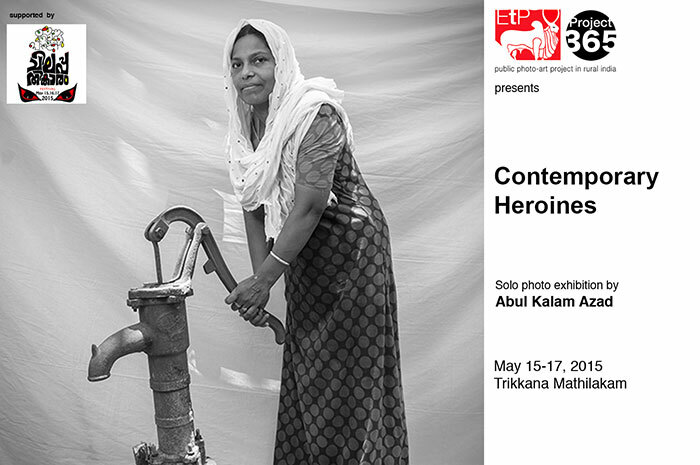 EtP’s suite in Mathilakam during the Silappathikaram Festival 2015 had a print exhibition of Indian photographer Abul Kalam Azad’s Contemporary Heroines, a series of portraits shot in the same region. 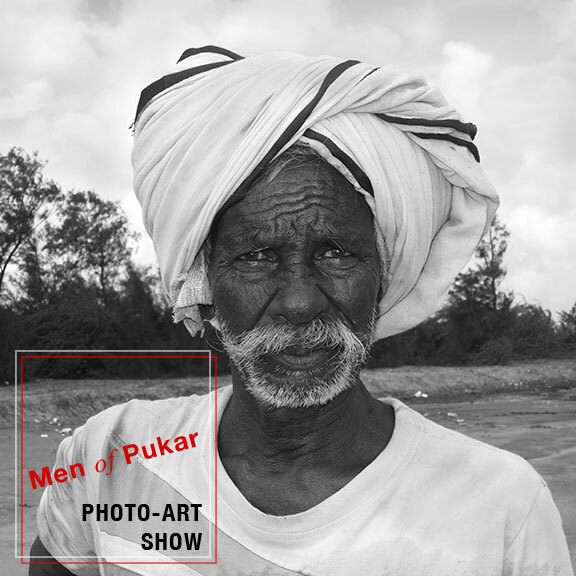 This exhibition received much acclaim and in 2017, we co-hosted another exhibition, titled Men of Pukar, in Poompukar, a Sangam-era sea port in Tamil Nadu. The images were shot by Abul Kalam Azad in the same region, which too attracted historians, artists, photo-enthusiasts and common people from near and far. Having seen the success of such initiatives, we plan to replicate this novel idea in other places across South India. In February 2018, we co-hosted the premiere show of Project 365 Tiruvannamalai at the Victoria Memorial Hall, one of the most prominent museums in India, which attracts several hundred thousands of visitors every year. As with all fundamental aspects of photography, the act of exhibiting or displaying photographs must also take into the consideration the rapidly growing technology. In spite of all the drawbacks of digital displays, they offer a reach unparalleled in the history of art exhibitions; and therefore, there is good reason to make use of digital exhibits, while still supporting print exhibits for the best viewing experience. EtP has put up online exhibits on Google Cultural Institute – as one of the few organizations from India who have had the privilege of utilizing this high quality image viewing facility. 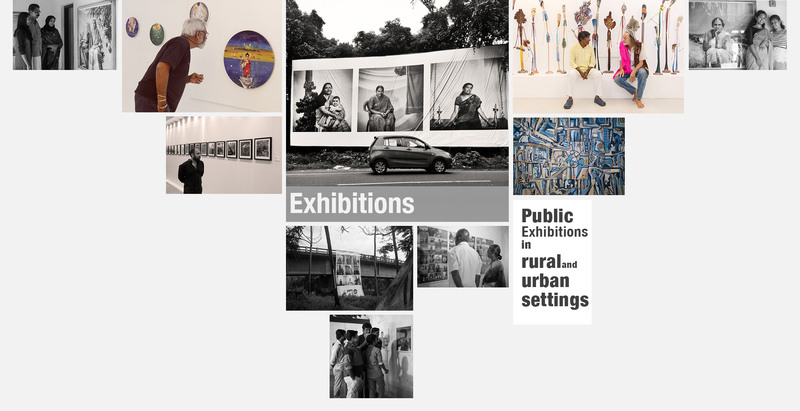 Archived works of Abul Kalam Azad and selected images from Project 365 Tiruvannamalai find their place in EtP’s exhibit. In the coming years, we would like to continue showcasing works from our collection, locally as well as globally by networking with museums and cultural organizations. The premiere show of Project 365 Tiruvannamalai was successfully co-hosted by Victoria Memorial Hall, Kolkata and Ekalokam Trust for Photography with the support of Ministry of Culture, Government of India. The show featured six of the twenty-five photographers who worked in the project, and attracted a large number of visitors. EtP co-hosted an exhibition of Abul Kalam Azad’s Men of Pukar, at Poompukar in 2017. The photo-series was done by Abul Kalam Azad with the support of India Foundation for the Arts.